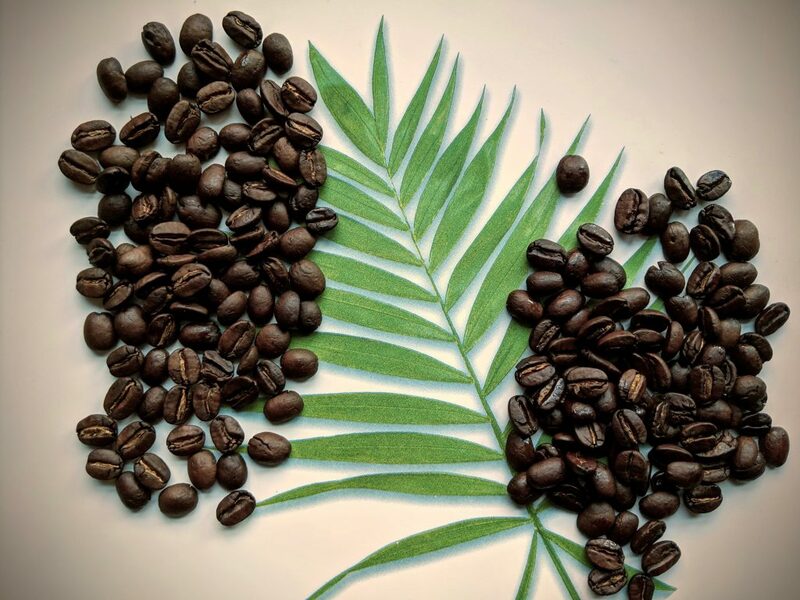 Our coffee is roasted to order and shipped the same day. 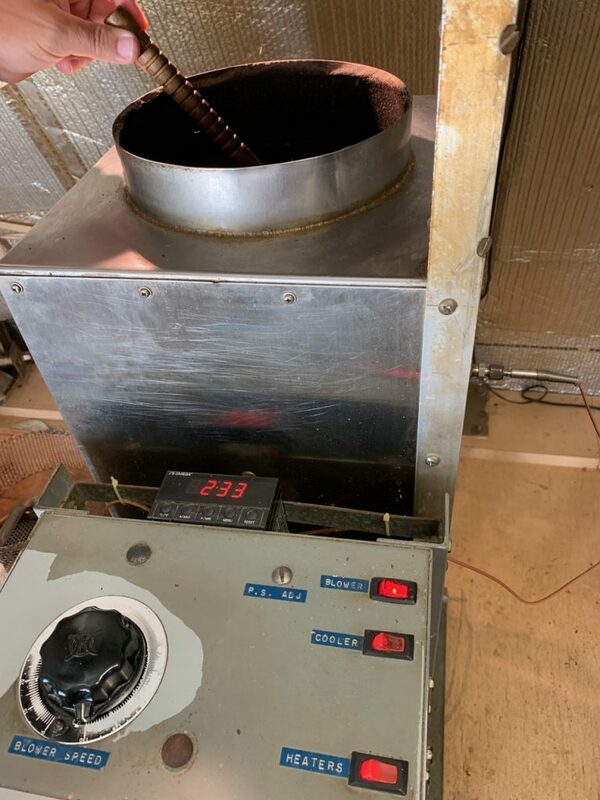 We use a fluid bed (versus a drum) roaster. 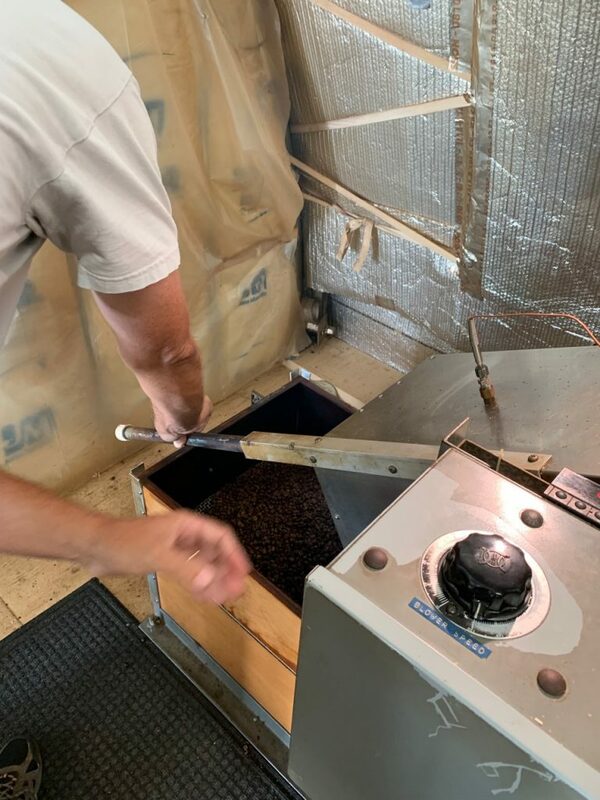 Our roaster can roast 6.5-10 pounds of green coffee, resulting in approximately 5-8 pounds of roasted coffee. Each batch, depending on its roast profile (& whether it’s peaberry or not) takes about 8-10 minutes. This is a very hands-on process! 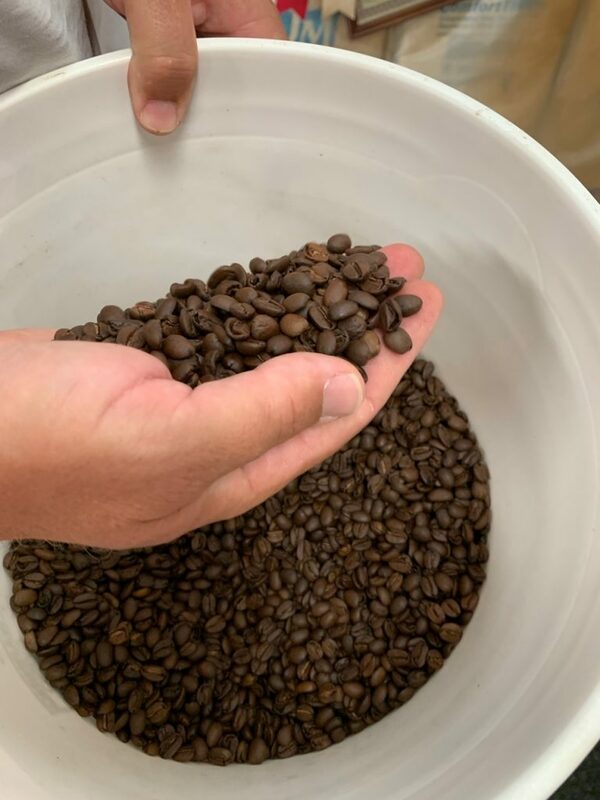 Our medium roast is roasted to 425º F. Our medium-dark roast is taken to 433º F, just before the second crack (the audible sound like popcorn popping), when the coffee oils begin to emerge. 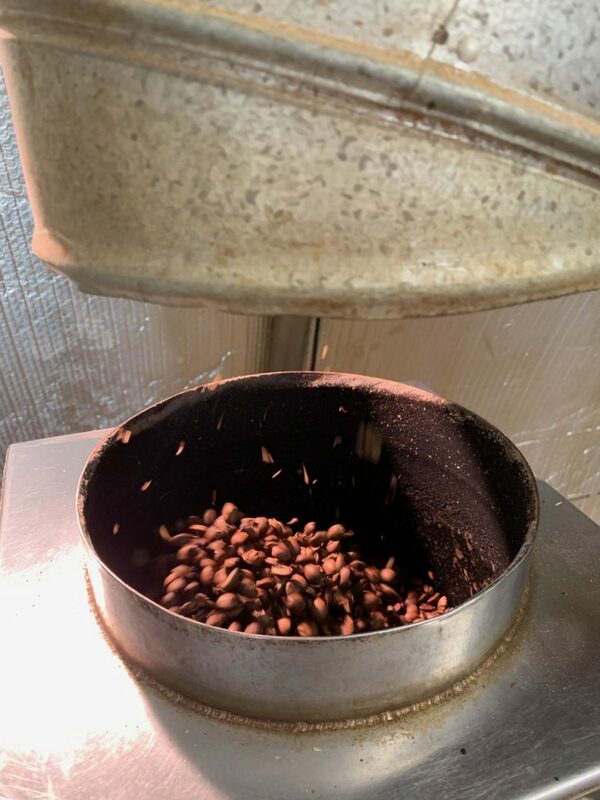 As the beans roast they expand and their moisture begins to evaporate. This moisture evaporation and pressure build-up causes the beans to crack open. 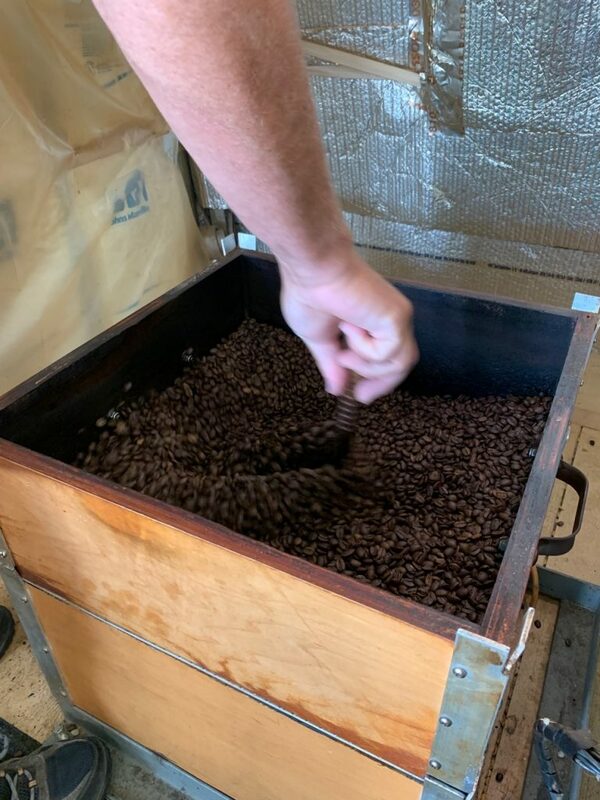 Interesting point: if you’re filling a box by volume (e.g., a flat rate box), the darker the roast, the less you can fit in the box. Green coffee is poured in. 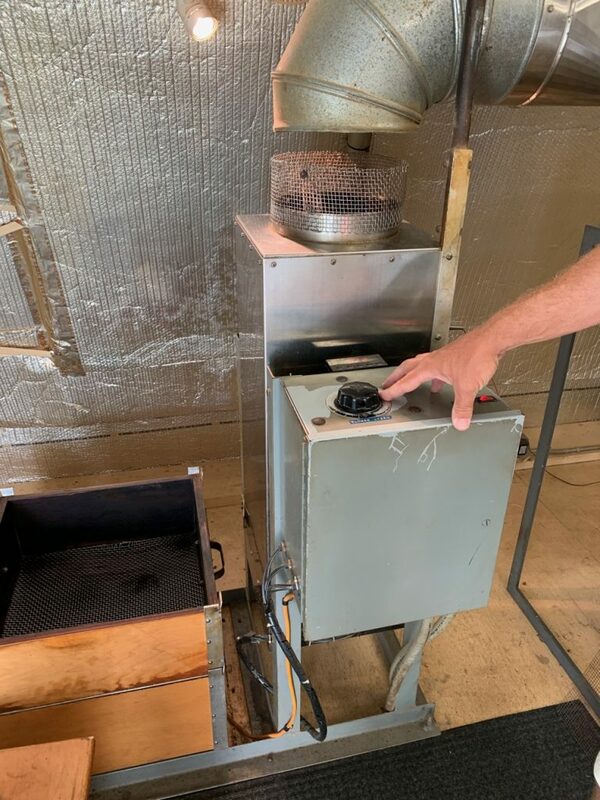 The beans quickly fountain within the can, and the chaff gets pulled out the exhaust. The beans are occasionally stirred by hand. You can see the external part of the thermocouple on the right (with the wire). 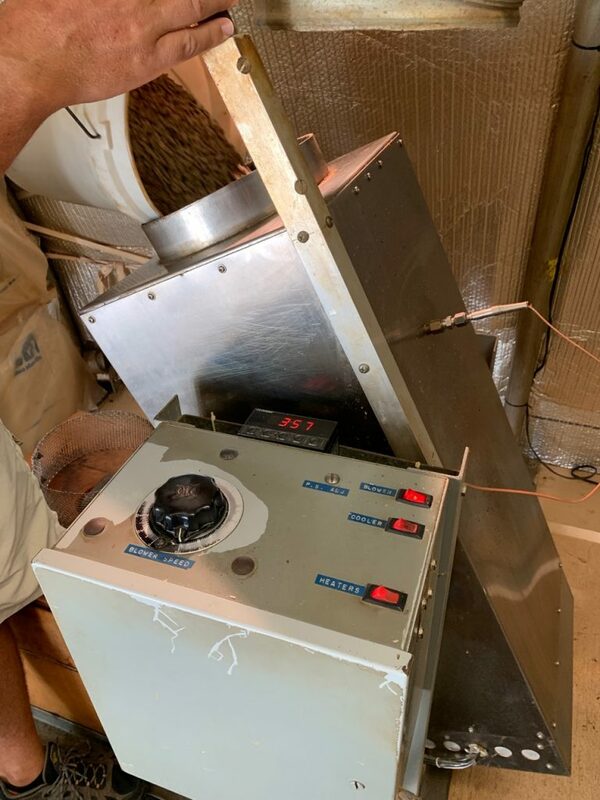 The roaster’s blowing speed is constantly adjusted during the 8-10 minute roasting process. As soon as the beans reach the desired temperature, they’re poured out into the cooling tray. The beans are immediately vigorously stirred for cooling for a short while, then they rest in the tray. A blower is under the tray. After resting in the cooling tray while the following batch is roasted, it’s poured into a bucket.